Randy Holland was born in Calgary, Alberta, Canada in 1951. He used to be an attorney, but turned to poker when he decided to take a year off. His poker skills grew, and he ended up becoming a professional poker player and never went back to law. He first played poker in a Las Vegas casino, and after that trip he continued to look for chances to go to Las Vegas or Los Angeles in order to play poker. Randy Holland started playing in smaller poker tournaments in the early 1990s, and did well in those. Randy Holland ended up moving to Los Angeles in order to be closer to the poker action. He met his future wife on the dance floor at the Commerce Casino. Randy Holland has two World Series of Poker bracelets. His first victory came in 1996 at the $1500 Razz event and his second came in 2000 at the $1500 Seven Card Stud Hi-Lo event. As of January 2012, he has $3,156,203 in tournament winnings, $580,025 of which come from the World Series of Poker alone. 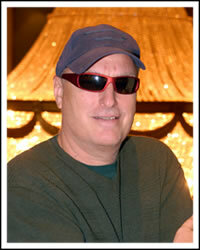 Aside from his WSOP bracelets, Randy Holland also holds 5 WPT titles, and has cashed 54 times. Of those cashes, Randy has final tabled an extremely impressive 30 times.